Here are some of our photographs of some Fungi & Lichens found on Stanpit Marsh. We add more photographs frequently, so please check back regularly. If you would like to share your Marsh photos send them in we'd love to see them . Fungi are neither plants nor animals, but are recognised as an entirely separate kingdom of living organisms. They are found everywhere and are of importance environmentally as they aid tree growth and are vital agents of decay and the recycling of nutrients. 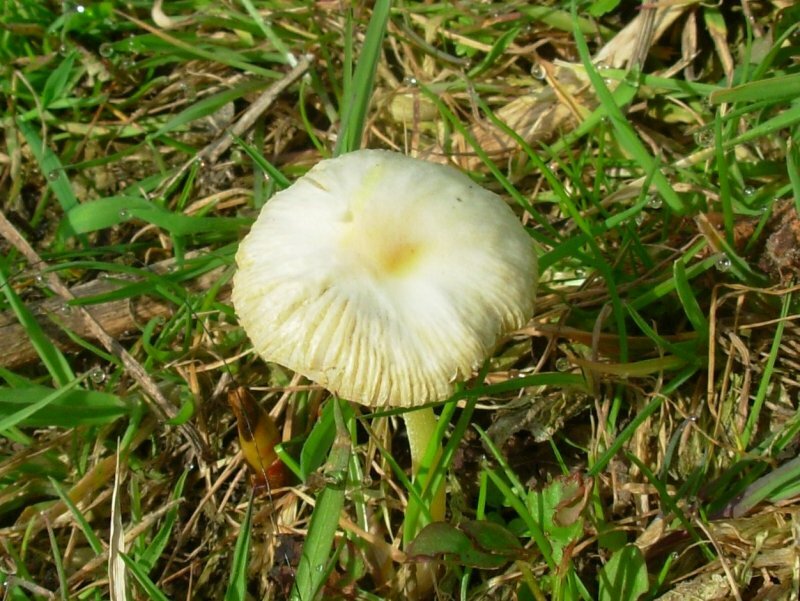 In most instances, the main body of the fungi is hidden from view. It consists of a mass of thin threads called Hyphae which permeate the growing medium such as rotting wood, soil or leaf litter. 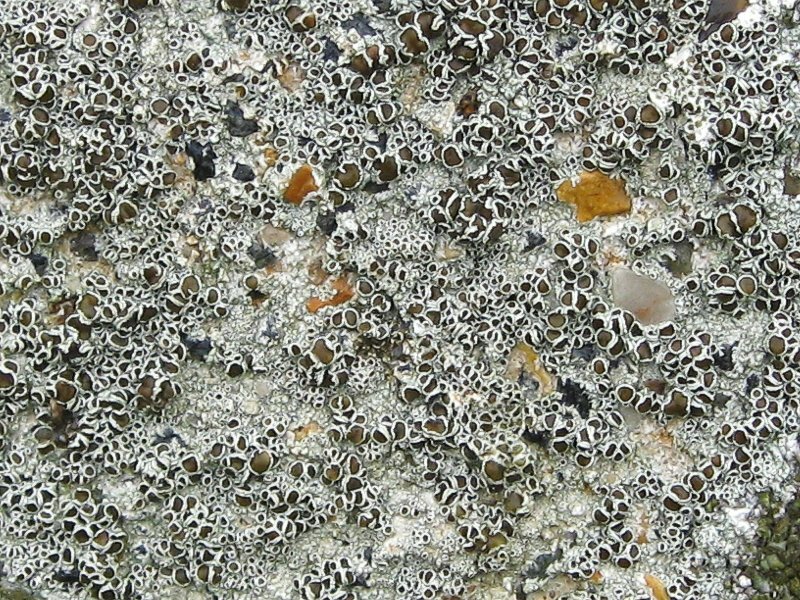 The Hyphae feed the fungi and their collective name is Mycelium. Toadstools are the fungal fruit bodies whose job is to produce and disperse spores. 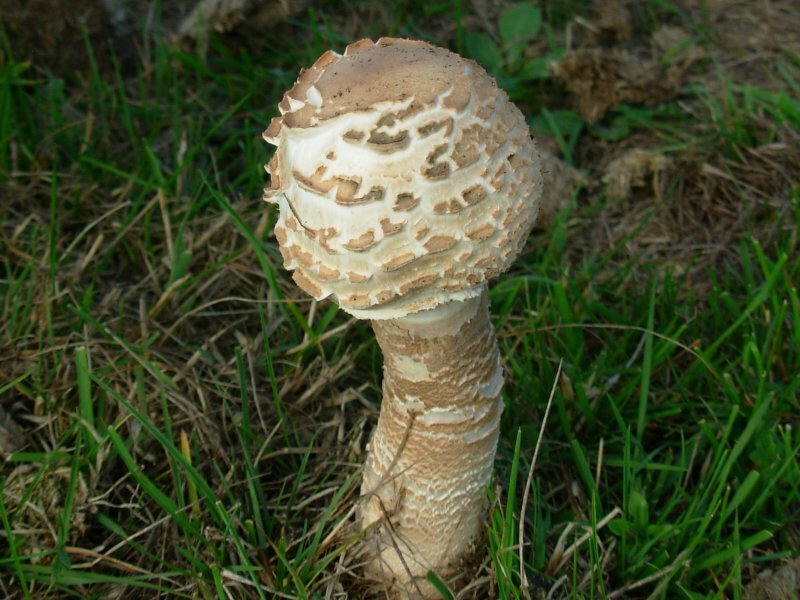 Difference between Mushrooms and Toadstools : In the strictest sense, the term Mushroom refers only to members of the genus Agaricus, ie cultivated white button mushrooms. 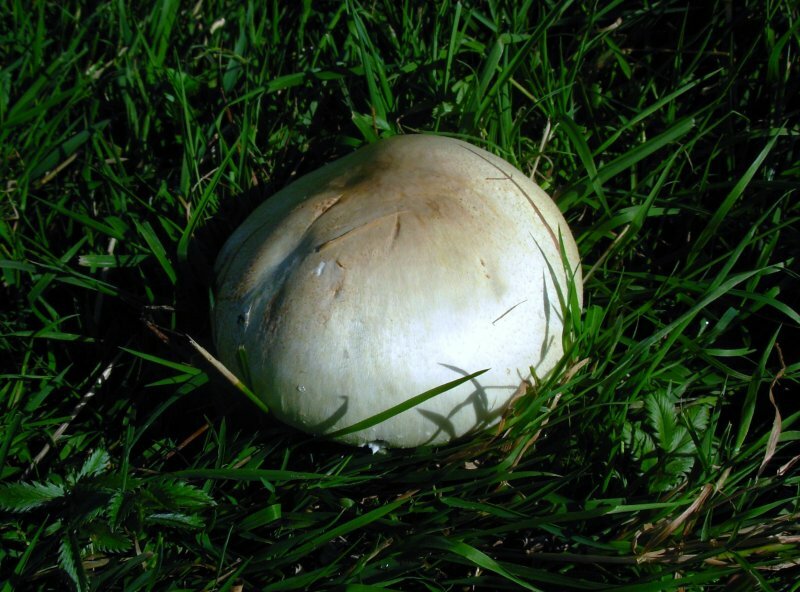 The term Toadstool is typically applied to any fungi with a cap and stem that appears to be different from Agaricus. 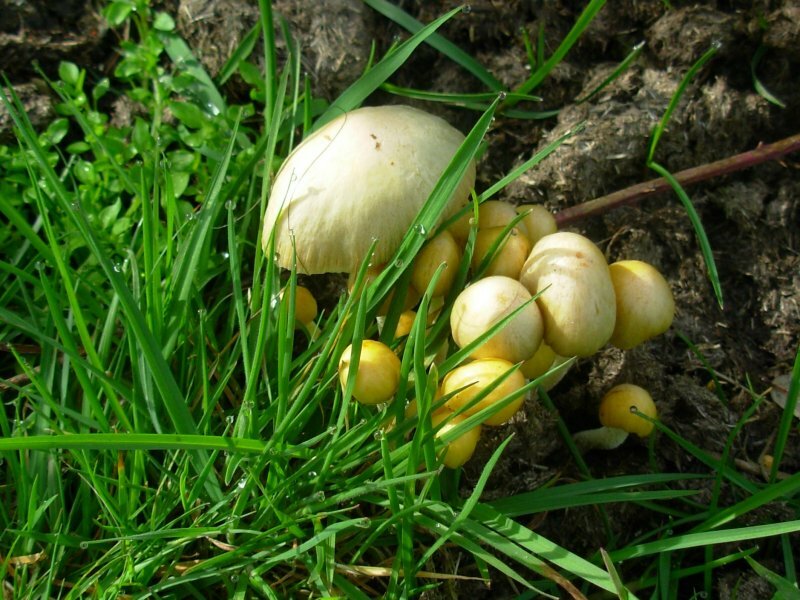 These are not hard and fast identifications, therefore, do not use them to determine which fungi are edible. Some fungi are very poisonous. 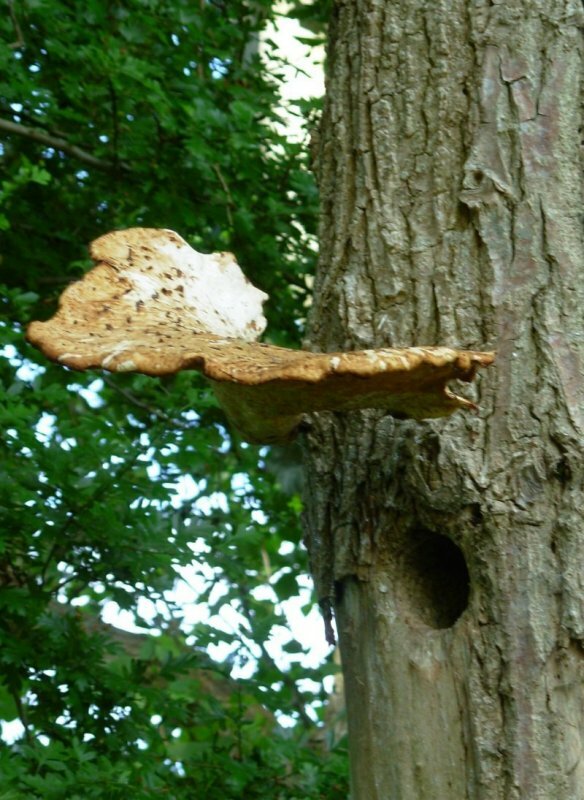 Bracket or Shelf Fungus in the Phylum( Basidiomycota ) sp. 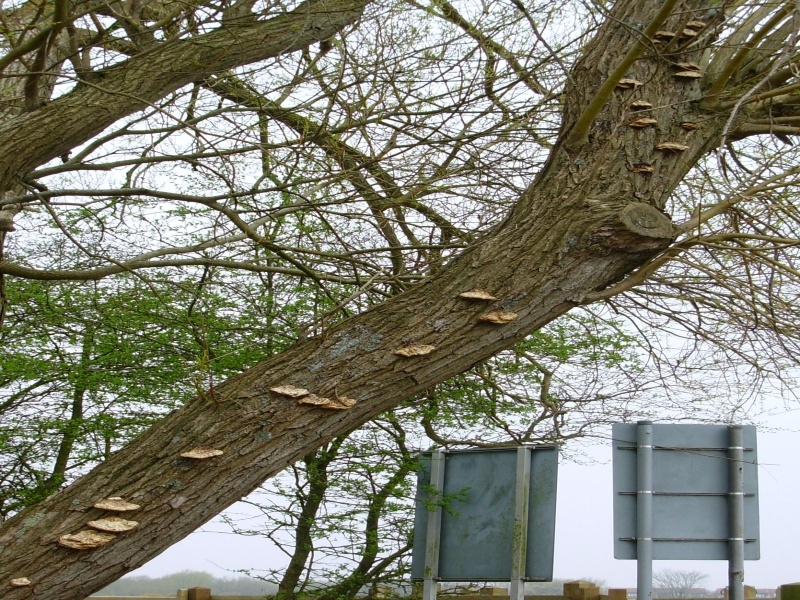 These fungi produce a shelf or bracket-shaped fruiting body, diverse in form and colour. They usually grow without a stipe (stalk) and often have a leathery and woody texture. They grow on conifer and broadleaved trees, living or dead. Those that are perennial can grow quite large over time. Found on tree at the back of North Scrubs. Bracket Fungus (Coriolaceae family) sp. 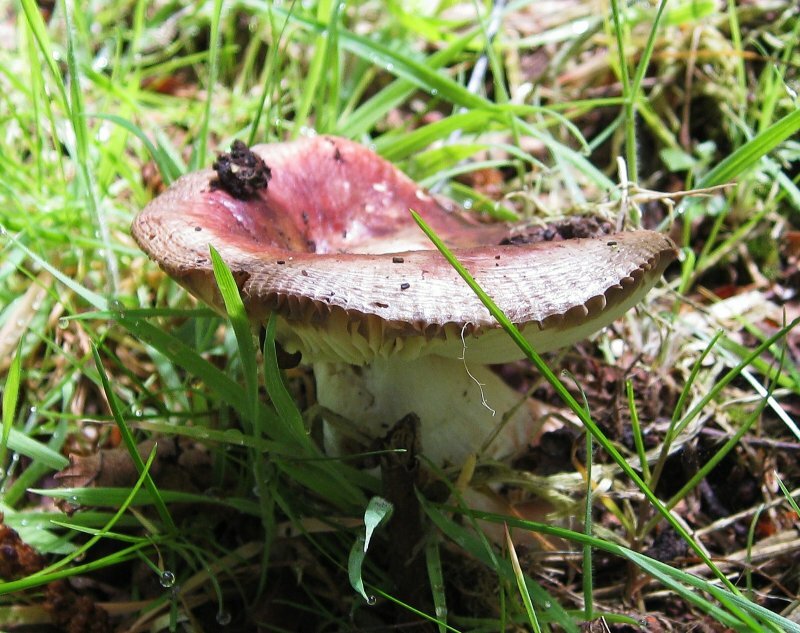 This fungi is called Blushing Bracket because there are often shades of pink and mauve in the upper surface. It is kidney shaped and seen most commonly growing in tiers on dead or dying broad-leaf timber, notably Willow. It is usually found beside rivers and streams. 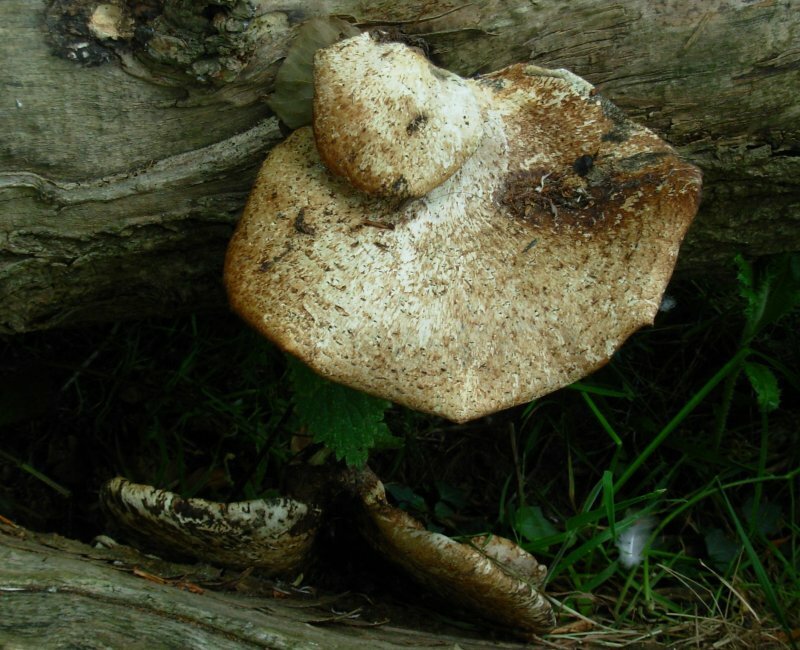 It can be seen throughout the year and its spores are released in late summer and autumn. It is slow-growing, and can persist for several years. This fungi, in wet conditions, is yellow and resembles brain tissue. It becomes a hard orange bracket in dry weather. It grows on fallen branches of deciduous trees, particularly Birch, Ash and Hazel, and also on Gorse. It is widespread, and can be seen in late autumn and early winter. It is inedible. Fragile brittlegill with grooved margin. Usually wine-red or reddish brown with olive tones, fading with age. Cap to 6 cm across, convex, becoming flat with indented centre. Grows in Birch or Pine woodland and heathland on acid soils, occasionally with Sphagnum moss. Very fragile, pale, rather variable in appearance. Pale ochre drying almost white. Often fruits in early summer. Cap to 6cm across, convex, then bell-shaped and finally flatter. 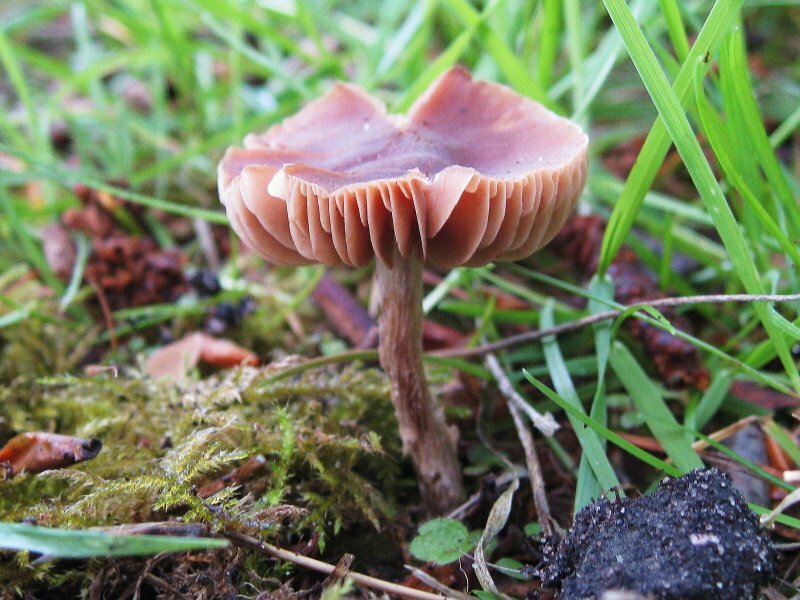 Solitary or in groups, it grows on soil and decayed wood in grass and deciduous woodland. Dung provides a rich substrate for fungi, with easily accessible nutrients and high water-retention qualities. Many dung-inhabiting fungi are not found on any other growing medium. The spores are first ingested by the animal and then excreted with the dung. The heat during decomposition aids germination. 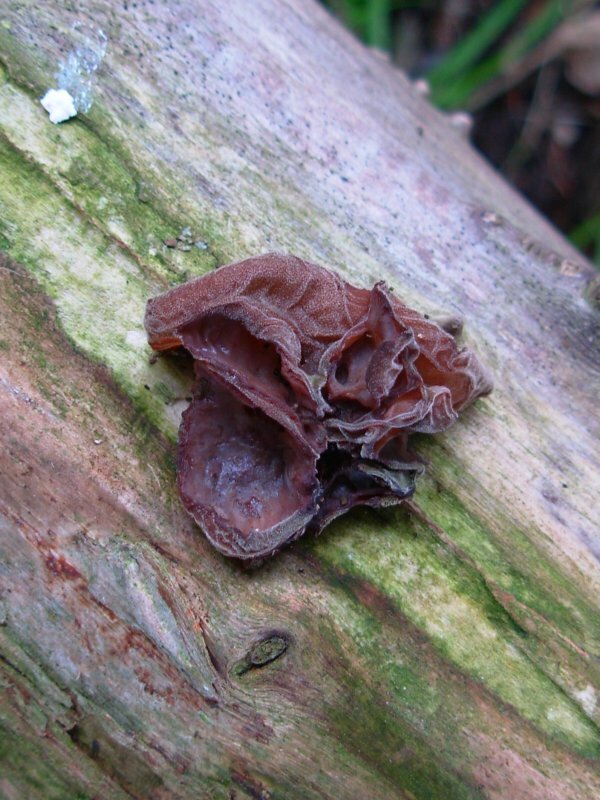 Gelatinous fungus to 8cm across, distinctively shaped like a floppy ear. Grows on the wood of deciduous trees and shrubs, often Elder. Widespread and very common. The name is derived from the belief that Judas Iscariot hanged himself from an Elder tree - ‘Judas’s Ear’ became ‘Jew’s Ear’. Today it is sometimes called ‘Jelly Ear’. Distinctive egg-shaped (becoming bell-shaped) fungus. 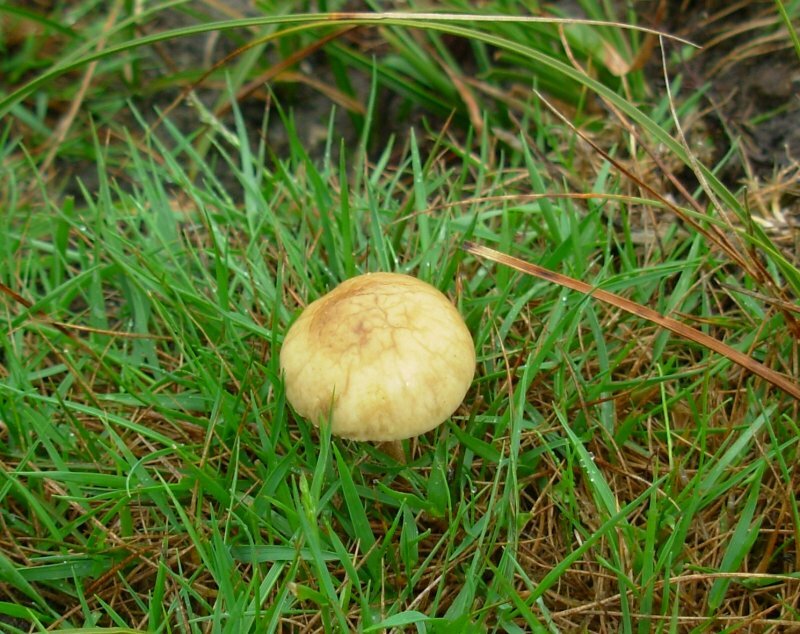 Cap to 6cm across, cream-coloured, sometimes wrinkled. Grows on the weathered dung of herbivores. Widespread and common. Distinctive statuesque fungus with a long slender stipe (stem). 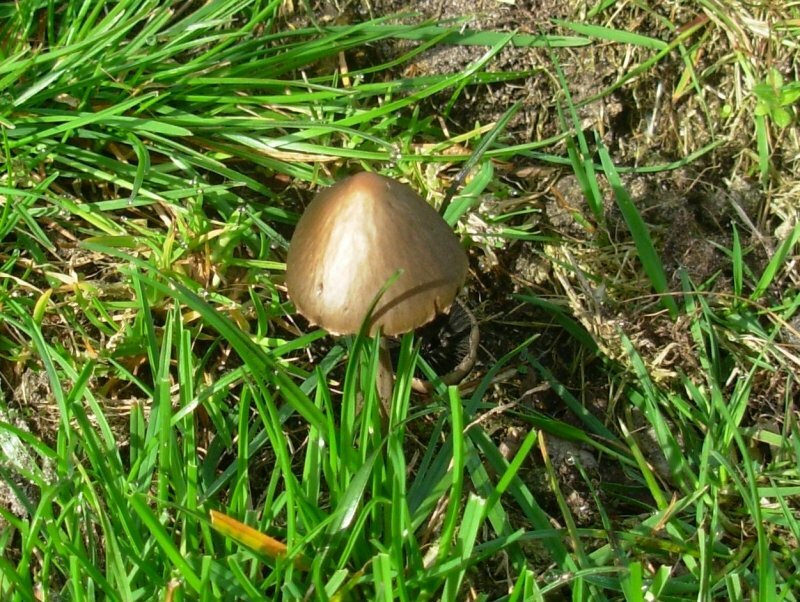 Cap to 25cm across that resembles a parasol. Grows in grass often on roadside verges and in clearings in deciduous woodland. Cortinarius is the largest group of mushrooms (Agarics) in the world with over 2000 different species. Their size is small to medium. 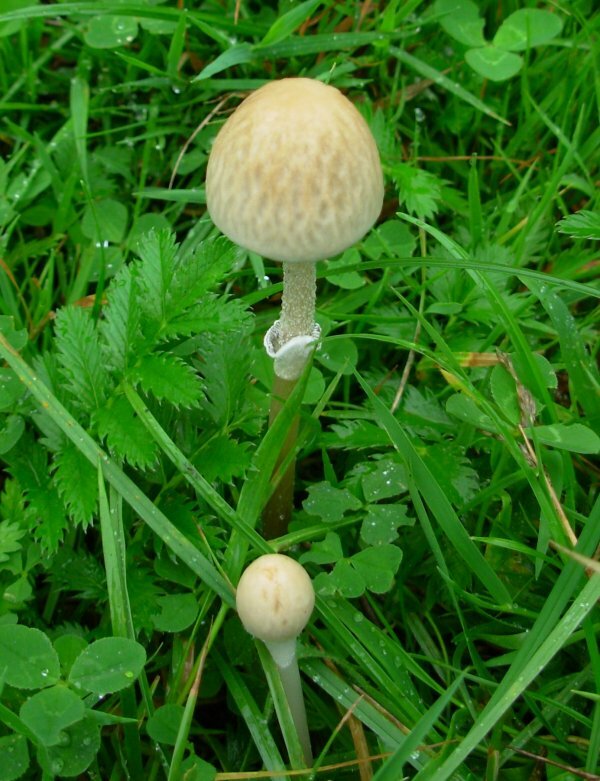 A common feature is a Cortina (veil) between the cap and the stem which disappears as the fruiting body grows. 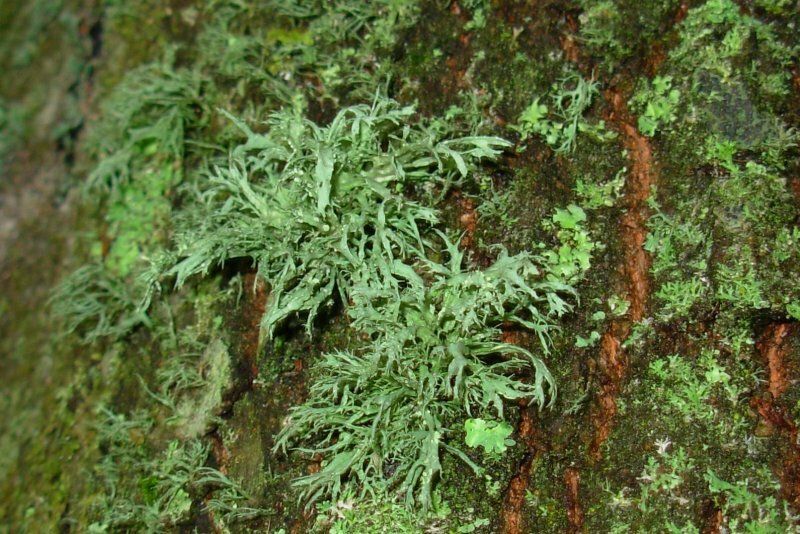 Lichens are not plants. They are a combination of two simple organisms, a fungus and one or more algae growing together in partnership to their mutual benefit. 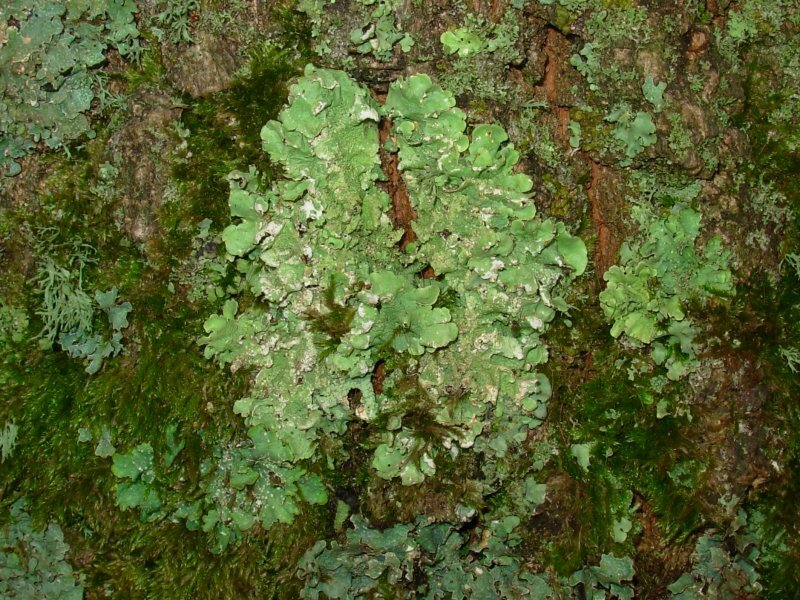 The fungus forms most of the body of the lichen providing a protective layer around the algal cells. The algae produce nutrients for both partners by photosynthesis. These are not hard and fast identifications. 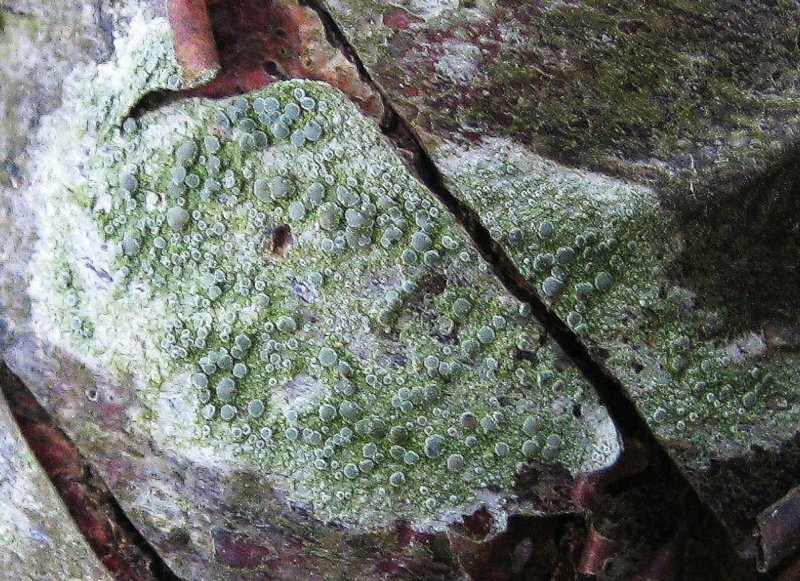 A greyish-green lichen with large, cup-shaped fruit bodies with granular texture on short stalks. 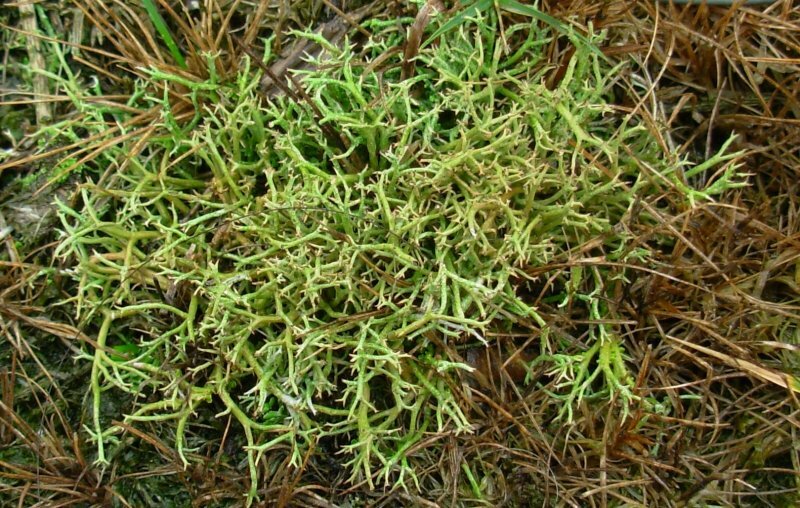 It grows on heaths and rotting wood. Found on the lower edge of the enclosure on Crouch Hill. 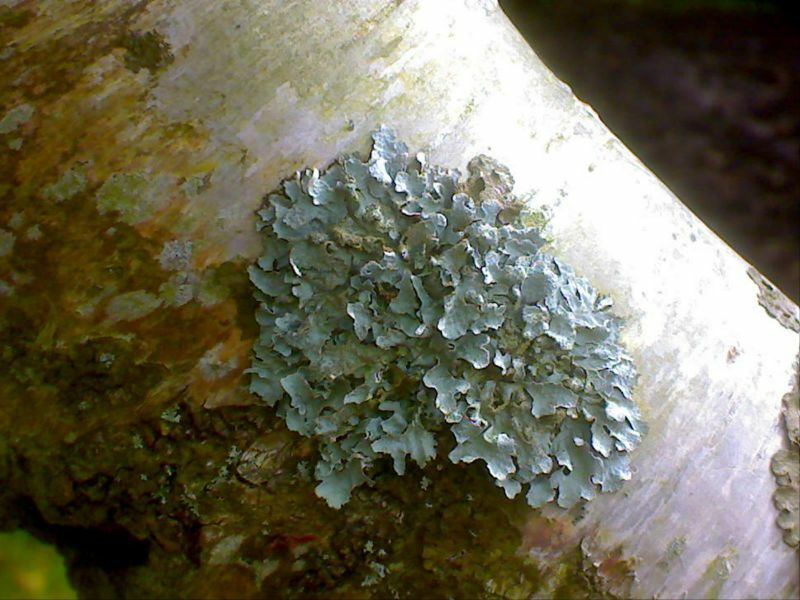 A bluish-green lichen with antler-like branched fruit bodies. 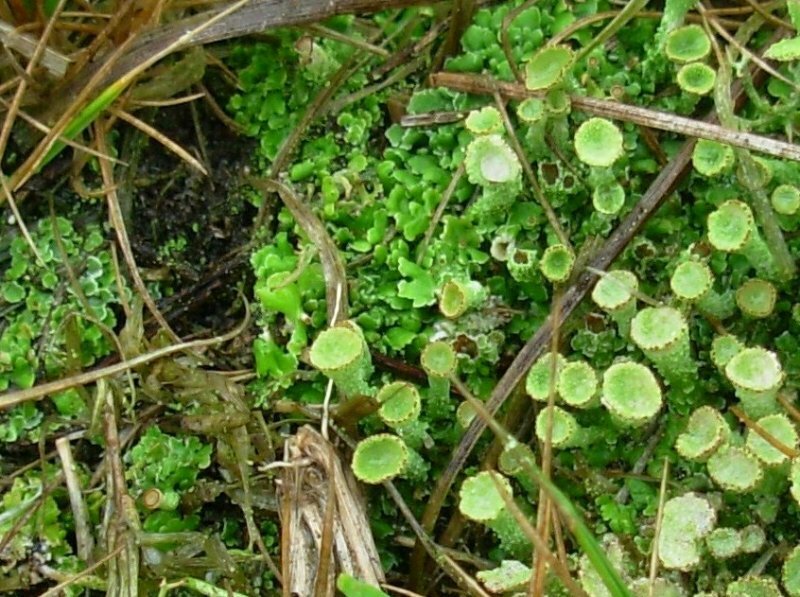 It grows on heaths and moors, often growing in waterlogged ground. 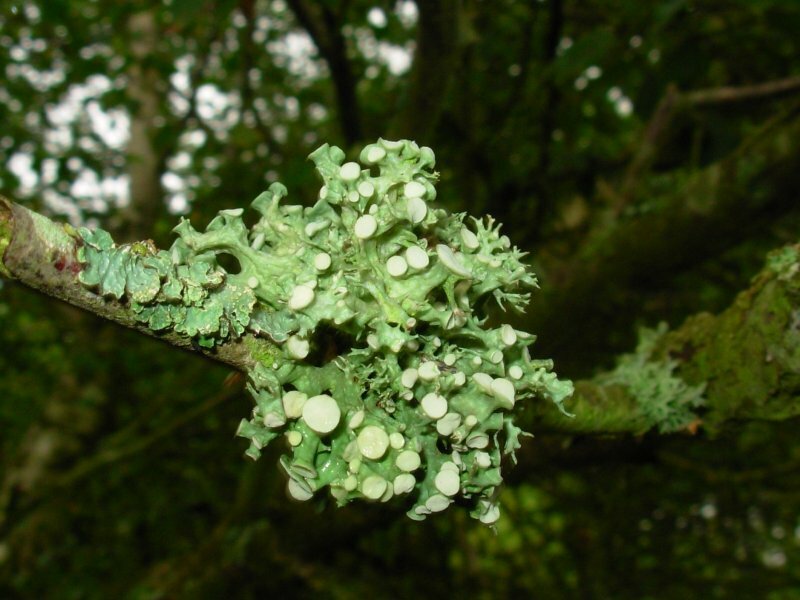 This lichen, which is greenish grey above and white below, has divided, flattened but curled branches. It grows attached to Oak branches. Grey in colour when dry, yellow-green when wet. Widespread and common on trunks of deciduous trees and on other base-poor substrates. Found in North Scrubs. 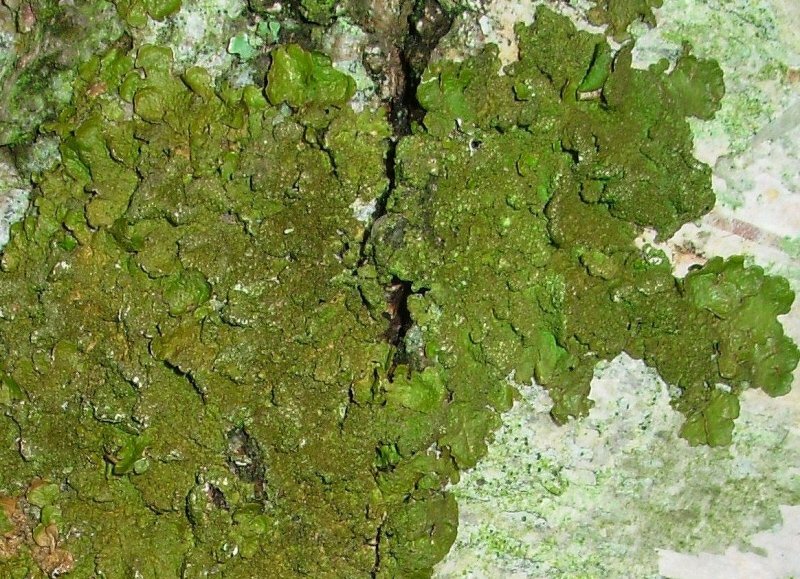 A yellowy grey or pale grey-green lichen with a crackly crust. It has smooth pale yellow or greenish discs. Grows on silica-rich rocks and walls and sometimes on wood. Widespread and common. 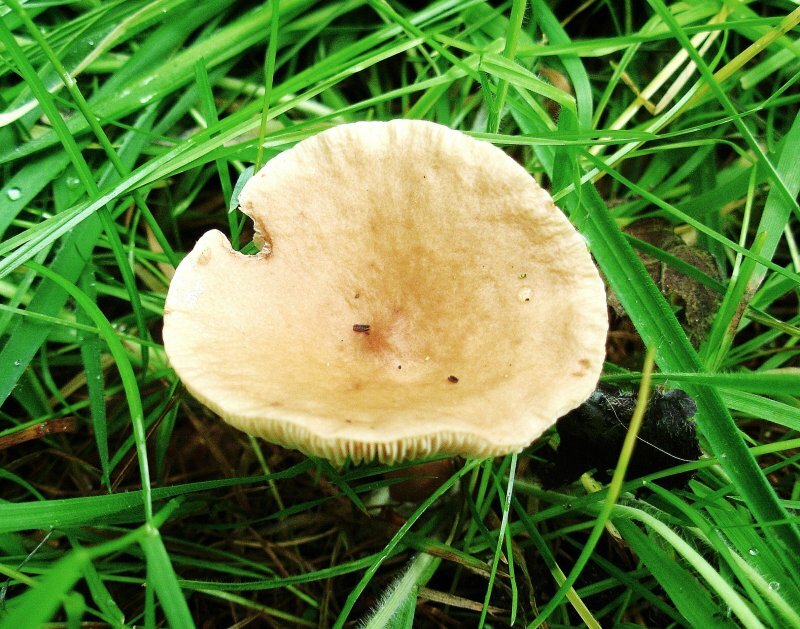 Forms patches of rounded grey-green, often overlapping lobes with flat-topped brown spore-producing discs. 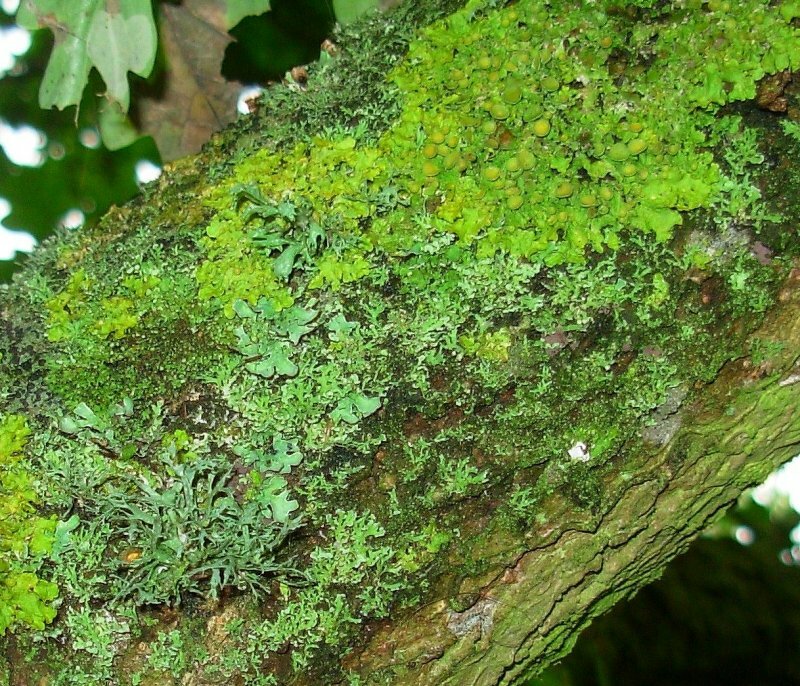 It grows on deciduous tree bark. Grey in colour when dry, green when wet. Widespread and common on tree trunks and branches. 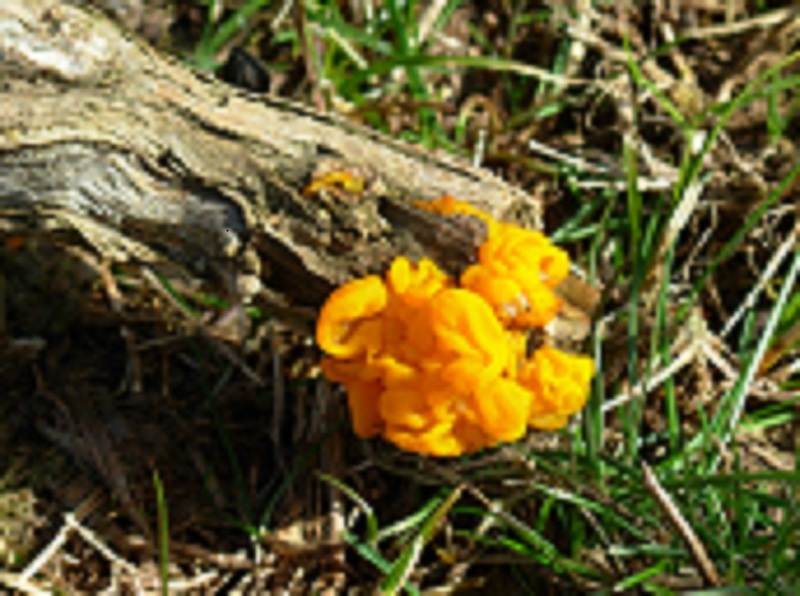 A common genus of yellow or orange lichens with leaf-like lobes, and fruiting bodies like raised discs. Grows on trees and shrubs and sometimes rocks. Found on the east side of Crouch Hill.